Vivek Wadhwa: The Bitcoin bubble is going to burst. Let's promote viable digital currencies instead. Vivek Wadhwa The Bitcoin bubble is going to burst. Let's promote viable digital currencies instead. The rise of Bitcoin is obscuring digital currencies that could help close the income inequality gap, not increase it. In the 17th century, Dutch speculators drove the price of imported tulip bulbs up to insane levels. Not wanting to miss out on the upside, ordinary people rushed in to the market. Many put their homes up as collateral in the hope of building wealth. When prices crashed, many speculators lost everything. A similar frenzy accompanied the dot-com boom of the late ’90s. Silicon Valley venture capitalists and New York City bankers proclaimed it the foundation of a new economy — and promised riches to anyone with a long-term investment outlook. To justify the ridiculous valuations of Internet companies with no revenue, they fostered widespread anxiety. But just like the tulip investors, low-level investors lost precious savings when dot-com companies went belly-up. Many of the people who benefited, meanwhile, were the already-rich: Wall Street veterans and CEOs and venture capitalists with the financial cushion to absorb a lot of loss en route to their one big score. Most of them also raked in huge bonuses and fees along the way. Unfortunately, and as I have written previously, a similar bubble seems to be building with Bitcoin. I am not saying that the price of Bitcoin won’t rise; this bubble may grow a lot further before it bursts. But inevitably it will burst, because Bitcoin died as a digital currency about two years ago, when its price started rising to astronomical proportions. A currency needs to have stability so that you don’t suffer remorse for spending it or live in fear that it will lose its value. Bitcoin no longer has this stability. Just like the tulip investors, low-level investors lost precious savings when dot-com companies went belly-up. Since the day in 2010 when 10,000 Bitcoins were used to buy two pizzas for $25, the price of a Bitcoin has risen from a quarter of a cent to today's valuation of around $15,000. What could possibly justify a rise in price by a factor of more than five million? Speculation and greed, of course. The flames of Bitcoin are being fanned by respectable people like Wences Casares, CEO of bitcoin wallet Xapo and a member of PayPal’s board of directors, and Chamath Palihapitiya, Social Capital founder and CEO. Both predict its price will rise to $1 million and want people to invest for the long term. “I think this thing is a $100,000 a coin probably in the next three to four years. And I think it is in the next 20 years a million dollars a coin,” Palihapitiya told CNBC. He advocated that people invest small proportions of their IRAs in Bitcoin. But just as with the dot-com boom and the tulip bubble, the people hyping bitcoins are likely to cash out first, leaving grandma and grandpa — and this Dutch family — without their retirement savings. And when this happens, there will be no one they can turn to for financial relief. There are myriad reasons for this. The system’s design makes it difficult to oversee or regulate, a potential red flag for investors but a boon for all sorts of criminals eager for a new way to launder money, evade taxes or create illegal narcotics networks. The system’s design makes it difficult to oversee or regulate, a potential red flag for investors but a boon for all sorts of criminals. At the same time, the number of Bitcoins created (called "mining" in Bitcoin parlance) is expected to be capped at 21 million coins for now, meaning the supply cannot keep up with the hype. Bitcoin mining time and transaction fees are also rising exponentially. And don’t get me started on the amount of raw energy the transactions reportedly are costing. What’s perhaps most frustrating about the rise of Bitcoin, however, is the way it is obscuring other, much more viable digital currencies. Indeed, Americans already use a wide variety of digital currencies in the form of things like credit card points and airline miles. But while these are more focused on luxury goods and services, big-picture investors like Bill Gates predict that new digital currencies could help poor people in developing country gain entry to the economy without having to go through traditional banking. While Scandinavia and some parts of Africa are becoming increasingly cash-free, the digital currencies with the most promise right now are not in Europe or in North America. Rather, China and India are at the forefront of digital currency technology. 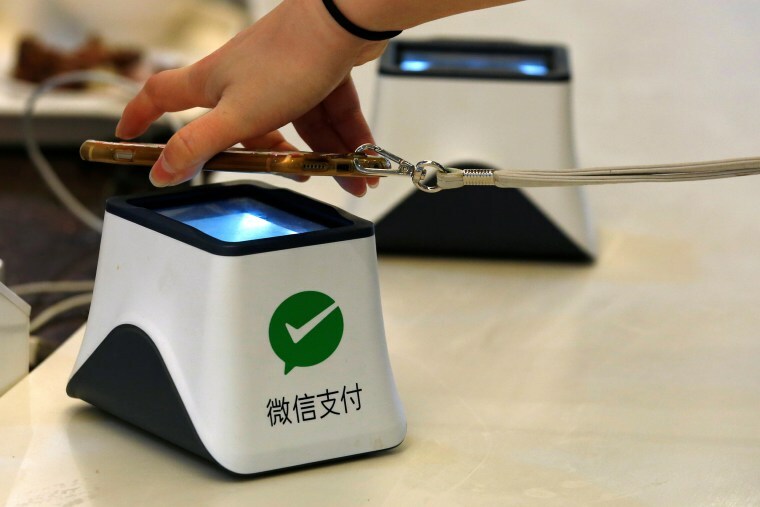 China’s WeChat Pay and Alipay are already processing around $5.5 trillion in payments annually. China in particular represents a strong model because of the relatively low- barrier to entry. As The Economist noted last year, access to a smartphone and a buy-in of as little as 25 cents in U.S. dollars can be enough. Investors like Bill Gates predict that new digital currencies could help poor people in developing country gain entry to the economy. India, meanwhile, has its Unified Payments Interface, through which people can transfer money between them within seconds, bank to bank, for no fee. This tech could pave the way for a whole new “technology ecosystem for the poor” in India. Bitcoin will surely go the way of Friendster, MySpace, and Pets.com — into the oblivion of hyperspace. Sadly, so will millions of people's savings. However the technology that underlies Bitcoin, the block chain, has many uses and can be transformative to commerce. This is a good start, as are advances like WeChat and UPI. What responsible investors and entrepreneurs need to do, then, is stop hyping the get rich quick promises of volatile cryptocurrencies and instead focus on building a currency system or systems that will help close the income inequality gap, not increase it. 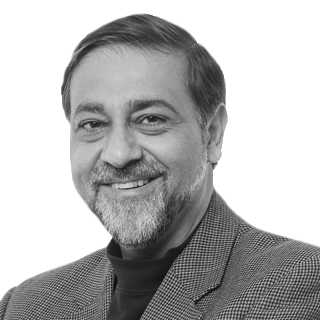 Vivek Wadhwa is a Distinguished Fellow at Carnegie Mellon University at Silicon Valley and author of "The Driver in the Driverless Car: How Our Technology Choices Will Create the Future."